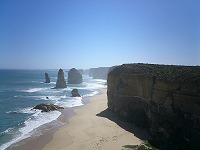 This is a “TWELVE APOSTLES” in Great ocean road in state of Victoria. This name is stand from 12 stone pillars which was cut down by the wave of the sea took by long time. 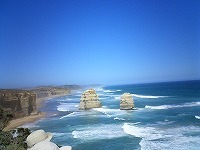 Some of them were collapsed from now, but this is a one of the famous spot for feel the great nature power in Australia. You know, of course most famous animal in Australia is Kangaroo. 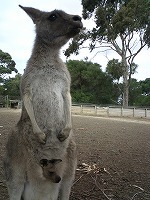 There are many zoo and national park in Australia, and we can feed to the kangaroos there. 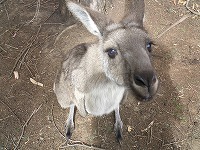 When you buy some animal food and entered the park, kangaroos will come to you immediately. This was a first time I saw real kangaroos just in front of me, so when I saw baby kangaroo resting inside the mother kangaroo’s stomach bag, I was really happy with their cuddly behavior. Moreover there are many spot to cuddly with animals for example, koala and penguins in Philipp island in Australia. About 110km to the west distance from Melbourne. 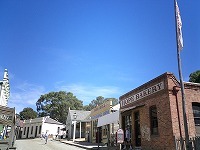 There is a Gold Field area from Ballarat to Bendigo, still have atmosphere of Gold rush age discovered in 1850. 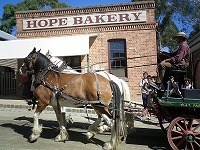 Sovereign Hill is also one of this Gold age’s towns, and this town is managed for the theme park recent days. This place can experience real exploration of mine of gold, and collection experience of gold dust in the theme park river. There were many scheduled events held whole town, suddenly some guys are started singing on the roof top like an opera and many villager who wears retro clothes started dancing. Moreover I was really surprised when I saw the kids walking across the street and going to the school. One thing I have to ask is, where these school kids came from? Lol They are working in this theme park, or just they were here for On-site training or something? 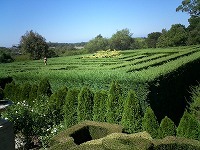 In The Enchanted Maze Garden, many kids were playing with maze and play equipments. If I have kids, this place is the best for picnic I think. 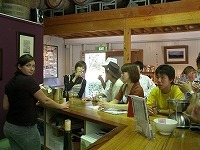 In the Yarra Valley, you can enjoy winery (picture right hand side). Wine production started in 1837, and there are many popular wine facilities in this place. Most winery has own wine cellars, and restaurant to treat customers by their own wines and foods together.